Year 11 Sidni’s passion for photography has led to his becoming a regular contributor to Blue Coat’s rapidly developing photo and video archive. What started out as messing around with his phone camera, led to a Canon 750D and now a drone camera, which Sidni has used to photograph and film Sports Day, House Cross Country and Cricket Week. In addition to the photographic aspect of drones, Sidni was instrumental in setting up Blue Coat’s Drone Club and has built his own racing drone. Sidni’s other passion is music. 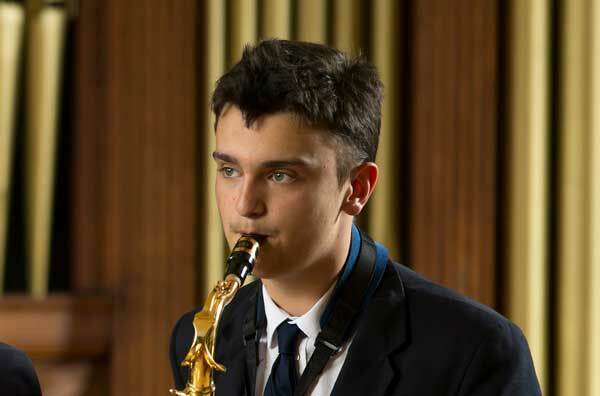 When he was in Year 6, he had the opportunity to try out a number of different instruments at a music taster day – and chose to learn the saxophone. He is now playing sax at a Grade 6 level and plays in a number of groups at Blue Coat. In 2017, Sidni was invited by Henley Music School to perform at the Mayor Maker event for outgoing/incoming mayors at the Henley Town Hall. He also occasionally busks in Henley to raise money for local charities.